The beautiful beachside suburb of Marino has tonnes to offer; not only amazing views but a great infrastructure and it’s also close to Adelaide’s CBD. As a result of all of these attractions, there’s a lot of movement in the area as people move into homes as soon as they become vacant here. Skip bins Marino are therefore in high demand. Skip bins Marino offer the perfect solution to so many problems. Moving in and out of a house creates a lot of unwanted mess; garden revamps, business overhauls and renovations similarly generate excess rubbish. Hiring Marino skips with Best Price Skip Bins offers the most convenient way to dispose of junk quickly and cleanly. Because we offer our customers the cheapest available skip bins, when you book with us, you know you’re getting a bargain every time. We use our many links with skip bin suppliers in the area to ensure you always get a great deal. Fill in our easy-to-use online booking form to get a skip bin out to your property. We can deliver within 24 hours if that’s what you need! What can you put in Marino skips? We can accept most types of waste in Marino skips, including general waste, green waste, concrete/bricks, soil and even mixed waste. 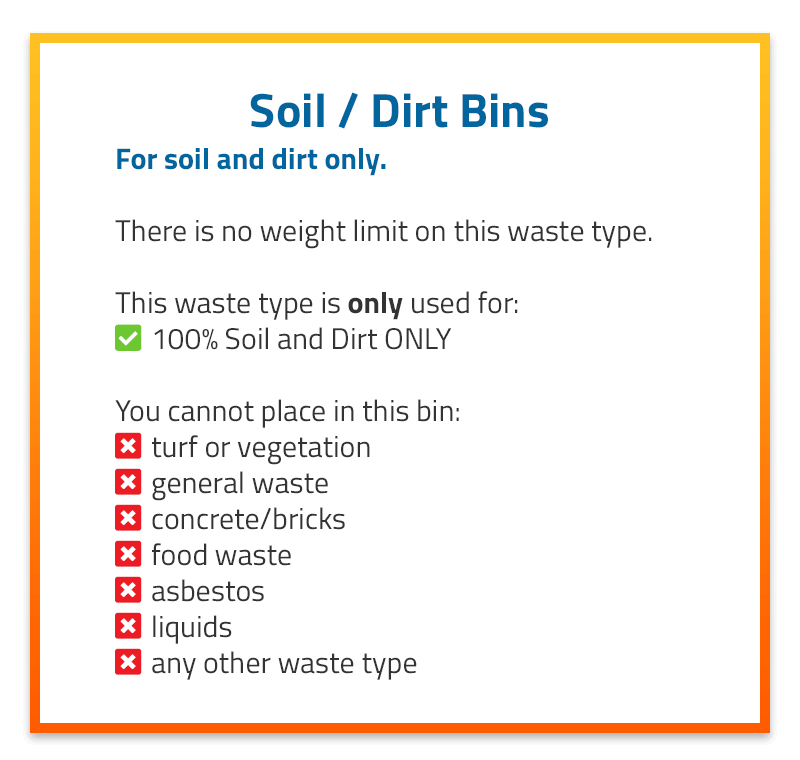 You might wonder why we try to keep waste types separated in our skips– it’s to allow for recycling when possible! We take our responsibility to the environment very seriously and try to keep our business as eco-friendly and sustainable as possible. We don’t want to put more into landfill than is strictly necessary. We cannot accept asbestos in skips Marino; so if you think that there is asbestos on your property within the waste you need to remove, please call the relevant authorities and have it dealt with safely. What size skip bin hire Marino do I need? Many people find this a tricky question to answer. Our infograph below should be helpful if you’re not certain which size skips Marino to order. The illustration depicts an averagely sized male standing next to various skip bin sizes. We have a large range of skip bin sizes and types on offer including mini skips Marino. Mini skips are perfect for those times when you just have too much waste for your general rubbish collection but not quite enough for a full-size skip. Below are the skip sizes we offer in the Marino area. How do I find the cheapest skip hire Marino? Contact Best Price Skip Bins of course! As are a family owned and run company and we know how important budget is to our customers. This is why we offer the unique service that we do. You order, we shop around among our excellent suppliers and then you get the cheapest skip bin out there! We cannot be beaten on price. Our skip hire ordering system is one of the best on the internet. We only work with the best skip bin hire companies and have access to them all. Fast and convenient as well as affordable, Best Price Skip Bins are all-round the most sensible option for skip bin hire Marino. Is skip hire Marino the best way of removing my rubbish? You have two options when it comes to rubbish removal. The double handling method or the easy way. Skip bins offer the easy way! With skip hire Marino, you don’t have to make a million trips to the local dump, loading and unloading your trailer each time. You just order your skip, fill it up and then we take it away! Most skip bins even have a ramp for easy access so if you need to dispose of concrete or similarly heavy waste, you can do so using a wheelbarrow. A council permit is not required if placing the skip on private property. 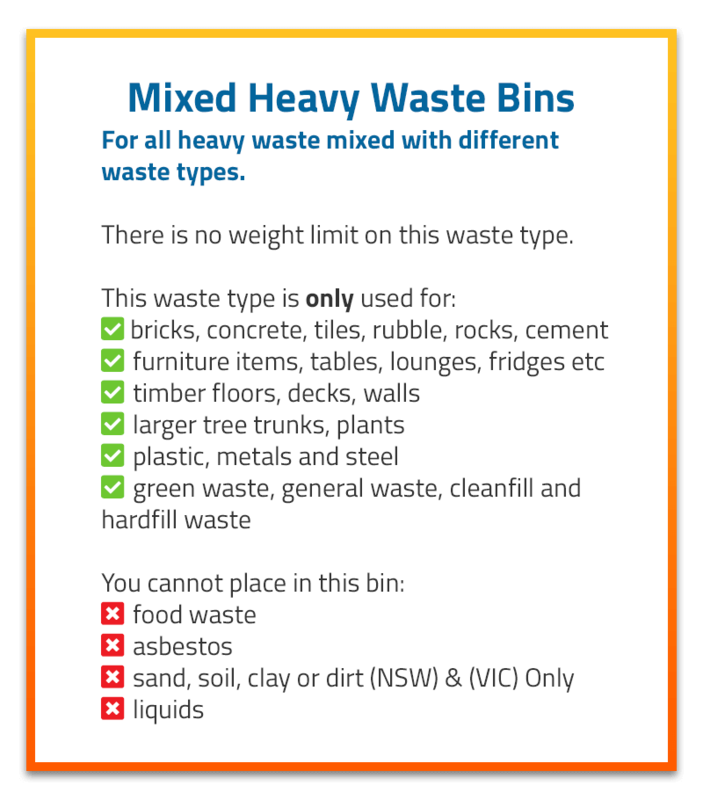 However, if the skip bin is to be placed on public property such as the nature strip, street or footpath, a permit is required. Find out more at Marion City Council. Book your skip bin with Best Price Skip Bins today. We’re friendly, helpful and the cheapest around!